"I think we should just let Mama go to bed so she can read all night and hopefully finish her book." This is why I try to avoid reading books. I am reading while looking at books with Max. I am reading while we are having family dinner. I am reading while brushing my teeth. I am reading while Karl is talking to me. I am reading although I am supposed to be cleaning the kitchen floor. I am reading on my bike. I am driving myself (and my family) crazy. It's only been 2 days. I have 200 pages to go. I may have to return the book before I am done. I am not sure we will make it. I am an all-or-nothing kind of person. Not in all things, but in a lot. I read 24/7 or not at all. I eat all the cookies or none. I take exercising to an extreme. I hate leaving things unfinished. or you don't do it at all. This book is definitely worth the sacrifice. I think. I don't care for fiction much. Definitely don't like science-fiction. Never enjoyed fairy tales. Love autobiographies. They are my favorite. Especially the ones written by athletes. 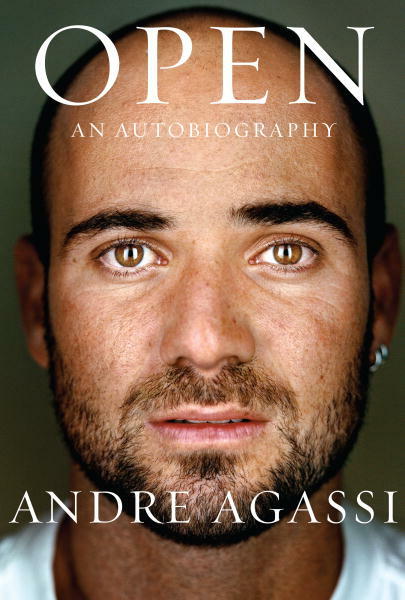 Getting to know Andre Agassi is amazing. I grew up watching him play tennis on TV at my grandma's and had no idea what life was like for him. He has an unbelievable story to tell and I can't wait to read all about it. I totally understand the book thing. Emily once said she could justify anything when she was reading. I am the same way. Justify not cleaning, not going to work on time, not getting to church on time (!) and basically not doing anything but reading my book. I hope u finish it soon!